Husband and I watched The Avengers movie and got a hankering for shwarma. The movie was our splurge because Husband’s inner child has been waiting for this movie since he was 12 year old then comic book connoisseur. Dinner at a shwarma restaurant was not in the afternoon date plans. That’s OK. Husband and I made our own version of Avenger’s shwarma for dinner featuring ground turkey instead of chicken, lamb, or ground beef. Because I like ground turkey and that’s what we had on hand. 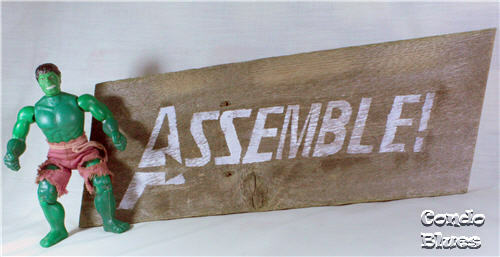 Like my Avengers Assemble sign? 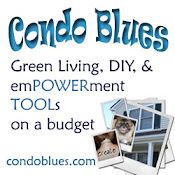 Learn how to make it on Condo Blues. If you are a vegetarian, give my Shwarma Black Bean burger recipe a try instead. 3 tablespoons Shwarma spices - I buy my shwarma spices premixed at a local international grocery store. Most of those little local shops have better price and selection on spices than my traditional chain grocery store. If you can’t find premixed shwarma spices for sale, use this shwarma spice recipe to mix your own. 1. 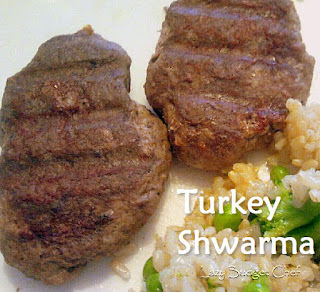 Mix the shwarma spices, garlic, salt, pepper, lemon juice, and ground turkey in a bowl. 2. Allow the mixture to marinade for an hour to overnight in the refrigerator. 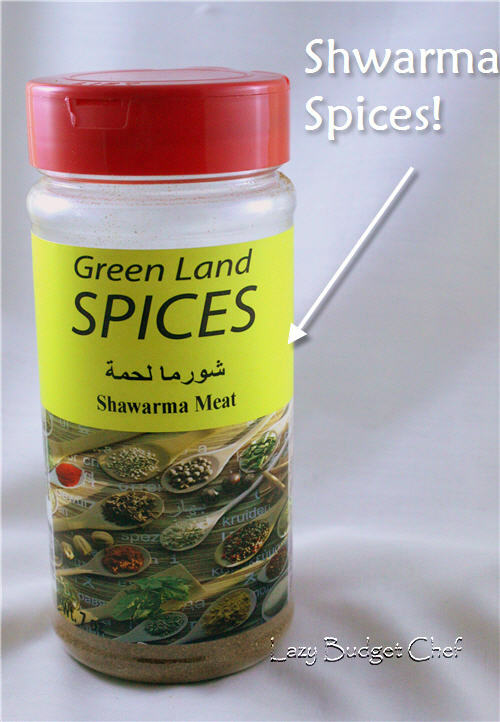 This allows the Shwarma spices to marinate for better flavor. 3. 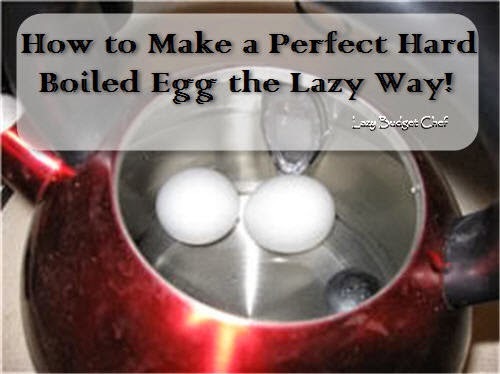 Roll the mixture into ball and flatten it to make a patty. 4. Broil or grill the burgers until completely cooked through. I chose the grill. Shwarma is traditionally sliced into strips and either served in a pita or wrap with shredded lettuce, tomato and topped with taziki sauce. Taziki sauce isn’t difficult or expensive to make. 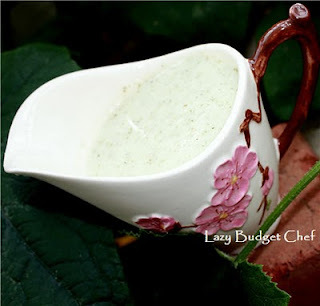 Learn how to make my Taziki sauce recipe right here. I often use leftover Taziki sauce as salad dressing. If you have picky eaters, it is OK to serve your shwarma on a hamburger bun with or without the taziki sauce. Feel free to invoke the old, “Thor and Captain America eat their shwarma with vegetables on it” if need be. Sometimes you have to think like SHIELD agent to get a kid to try something you know they will like. Nick Fury would approve. Yum. Like as in I need to go buy some schwarma spices today. This is a great complement to my kefta kebabs. I'm curious though about what you served with it. It looks like rice with veggies? Yes. We are doing an eat from the freezer and pantry month to save money for Blitzkrieg's chemo treatments. My husband cooked brown rice in homemade chicken stock and broccoli because that's what we had on hand.